For some instructors, teaching online remains a foreign concept. For others, it's one of many skills in their tool belt. As online courses mature, faculty members are developing valuable expertise in the modality. "Inside Digital Learning" hopes you'll benefit from some of it. We asked some veteran online instructors to share their impressions of online's evolution since they started teaching in the virtual space. Here's what our sources said. If you agree, disagree or want to share insights of your own, leave a comment below the article. In what ways have you changed your approach to teaching online? A good online course should allow students enough leeway to work ahead and finish early or catch up after falling a little behind. But it must also keep students engaged enough to discourage procrastination. I’ve tried to strike a balance between keeping students engaged and providing enough schedule elasticity to allow for occasional life disruptions. My course design seeks to reward consistency but is able to bend for students who must take a time-out for life issues. Admittedly, I haven’t always had this attitude. Early in my online career, I marched students, expeditiously, from one weekly deadline to the next. That approach, of course, sapped the advantages of being online. It also kept me busy making exceptions for students willing to march me through the details of their lives. I’ve also tried the opposite approach in which I present one ultimate deadline and tell students they can work at their own pace; most undergraduates, however, have too little self-discipline for that model. When I first began teaching online, I noticed a disconnect between students and the course content. While I worked to make it relevant to their lives, I often saw students doing the work simply for the grade. Clearly something was not translating. In the last year, I’ve become more focused on helping students connect their passions to the course content. My courses still have objectives. However, I ask students when the semester starts to identify one to three goals and create a short video about what they want to achieve in the course. They reflect on these goals and can modify them at the midpoint and the end. During the semester, I ask students to consider what they are doing during the week to help them meet their goals. They don’t always need to share this information, but having this as a thread in the course helps them stay connected to the content and each other. Students are aware of what their colleagues’ goals are and often reach out and share ideas and resources in support. When I began teaching online in the mid-'90s, the ability to design and deliver online instruction was informed by our knowledge of teaching in face-to-face environments. Sadly, I had never taken an online course, nor engaged in professional development focused on course design and delivery. My original instructional design reflected a direct instruction approach whereby students simply completed a checklist of activities with little interaction among the course community. Today, the instructional design and instruction of my courses reflect a Community of Inquiry  approach whereby engagement is fostered through thoughtful attention given to how I manifest myself throughout the course (teaching presence), how students engage in the content of the course (cognitive presence) and how, together, we interact to form a dynamic learning community (social presence). For me, it has become more about the “humanization” of the learning experience, with a nod toward the affordances of the learning management system. The most significant shift in my online pedagogical practice was dealing with my students not being able to afford their textbooks. The use of open educational resources single-handedly changed my teaching and my interaction with students. As a result of my own adoption of OER, I removed the burden of purchasing a textbook for my students and I felt ownership of my course in a way that I never did with a traditional textbook. The next phase of OER will involve students more in the creation of course materials, and I find this shift very promising not just for online courses but for all modalities. I began teaching online with healthy skepticism around 2003 when I was teaching at a large community college. I eventually began experimenting with emerging technologies and, along the way, participated in asynchronous voice and video interactions with my students and collected their feedback. Students reported having fewer “hurt feelings” when the warm nuance of voice supplemented our text-based interactions. Learning out loud  helped them sense that I was there for them and they felt more connected to their peers, like in a “real class.” Formal research studies were reflecting these findings , but it wasn’t until I experienced them that my mind-set changed. I also began to see that teaching online could support learner variability better than teaching in a classroom. I observed one student with dyslexia express herself eloquently in video, while her written expressions were fragmented. These experiences illuminated the value of Universal Design for Learning , opening a new world of opportunities for teaching online. I’ve been teaching online since 2008 and entirely online since 2013. When I first started teaching online, I was afraid to create new content or change the course in any way once the course launched. I thought the course curriculum and online environment had to stay “frozen” and intact or I would risk confusing students. Now, I create additional tutorials as needed, using screen-casting tools, videos and podcasts to add additional content to assist students. I have also since learned that there is no one-size-fits-all approach to online teaching and learning. Some students prefer basic content and straightforward assignments. Other students like to interact with the instructor through instant messaging, email and discussion boards. I started doing optional webinars for students who wanted more interaction and personalized learning, but I don’t require them. I find that the same group of online students in each course (who enjoy interaction) usually attend the webinars. The webinars are recorded for students who couldn’t attend or prefer the recording format. Over all, I’ve learned to be more laid-back, multimodal (e.g., webinars, podcasts, etc. ), proactive and flexible for my students. What challenges have you overcome in adapting to the ever-changing landscape of online education? Bays: One challenge has been protecting course integrity in a telecommunications arms race. Those just getting into online instruction should realize that course design requires regular review and revision to respond to security issues posed by new technologies. One should be willing to stay mindful of new technologies and to imagine how they could be used to exploit one’s course and perhaps even relish the challenge of responding to them. For every security feature rolled out, there will be 10 YouTube videos explaining how to circumvent it in a matter of weeks. My best line of defense has been to implement traditional, weighty, proctored exams. More than three-quarters of my students sit, in person, for my exams, which I proctor “for free” in small groups of no more than 15 at a time. The other 15 to 20 percent of students spend $15 to $20 per exam at remote testing facilities or for online proctoring services. For me, the in-person exam routine is a highlight of the course, since I get to visit with students in person. The traditional class session provides a structure to student learning. If a student comes to class on a regular basis, and listens to and takes notes on what the teacher says and does, then they will learn a fair amount, perhaps enough to pass. What is the analogue in an online course? Putting videos of lectures online is not the equivalent. There are pluses and minuses to videos, but it's not the same. (Videos lack the immediacy, the intimacy of an in-class experience, but they also allow students to watch more than once.) The most important thing I’ve learned is how to build a structure that supports students in an equivalent way. There need to be more active learning activities in an online course. If I have a student in my office, I can tutor them to learn anything I teach. I can do almost as well in the small classes I teach (15 to 30 students). I can’t do the same thing by video, though one-on-one synchronous video comes pretty close. Students don’t seem to be able to learn as much from reading a text by themselves. As Herb Simon said, students learn by doing and only by doing. Thus, I need to ask students to do something with what they learn from the text. Hall: A significant challenge for me has been how to create and support online communities for our students within programs and courses. Creating such communities requires us to abandon more traditional views about how classes are structured. We need to move past traditional notions about classes and teaching load. Instead, we must create a more open framework where students continuously engage with their work in a more visible manner. In a typical class, students talk only to the instructor and each other. Resources, questions and information that are created and shared rarely transition to the next course. In true community, all students and instructors within a program could regularly access information and ideas in a shared space regardless of the content they are currently learning. Our current model for teaching online has lots of similarities to traditional face-to-face classes. Online students position me as the only expert in the room and are more likely to value what I say over their colleagues, who often have valuable information and ideas. Part of breaking this cycle is built into how we structure experiences for online students. If we can create online programs that are more community focused, we can increase students’ communication and information sharing. Hobgood: Early on, there was little support for teaching online, so learning how to design and teach online courses came from a leap of faith on the part of administrators, considerable patience on the part of students and tremendous risk taking on the part of instructors. While there was support for the technology, there was little support for how to make it happen. Consequently, those of us who have been teaching for a while embraced several roles, including tech support, instructional designer, administrator, registrar and instructor. The challenges were situated in our roles as instructors and how best to address them all. More recently, the challenges have come from outside of the instructor’s locus of control, and include the negotiation of learning management system updates, an increasingly diverse population of online learners, and learner expectations of what it means to take an online course. Pacansky-Brock: To prepare, my institution required me to take an online professional development course and, in return, gave me a blank shell in our learning management system. As I stared at that blank course, I knew I was not prepared to teach online. But, nonetheless, I proceeded and began a transformative journey. I struggled that year. My colleagues were vocally scrutinizing the effectiveness of online classes -- as if they were inherently bad because they are online. I listened but remained open-minded. I knew my class could be better, but I had no access to support. About a year later, I attended a graduation ceremony and heard the name of one of my online students called to receive his diploma. As I watched him walk across the stage, I realized we didn’t know each other. That experience made me realize that I was more than a subject matter expert in my on-ground classes; I was also a mentor. And I needed to be a mentor online, too. Semingson: The biggest challenge is keeping up with changes and expectations with online learning. Students expect to be able to access the course on their mobile device, get quick and timely responses from the instructor, and want a highly flexible course curriculum. Keeping materials updated and responding to students quickly was a challenge in the beginning. I think it helps to have the mind-set that an online course has to be constantly tweaked and updated to stay current with trends in how students learn online. When I first started teaching online, I assumed all students would appreciate and want to attend webinars. I learned that some distance education students want a more “no frills” approach to the online course, while others seek out the online connections and additional learning opportunities. How has your relationship with students in online classes changed? Do current online students have different expectations/facility for the format than in the past? Bays: I’ve come to expect certain work patterns among my online students. One percent will always sprint through the material with high grades, but the majority starts off well, then after a few weeks diverges into a consistent cohort and another cohort that tends to, despite my best efforts, cram for exams. There are phantom students who won’t respond to my direct emails. The range of technical sophistication among students seems larger than ever and growing, from the “traditional” residential undergraduates to middle-aged men and women working full-time out in the Oklahoma boondocks. The digital natives, so-called, tend to be more direct and demanding of my time but not as willing to commit to my expectations. The latter often have children or grandchildren to care for, hardly any time of their own, few computer skills, old hardware and slow internet service, but they usually work harder, need more encouragement and are more appreciative. Hall: My thinking about online communities has shifted my relationships with online students. In the past I’ve emphasized checking in with them about the course and seeing how they might need help with the content. Now my relationship has evolved into crafting course experiences that will serve them professionally. I invite feedback and discussion on what can be done with the course content to help them meet their goals. Rather than being primarily concerned about grades, conversations with students are centered on applying the material to help them achieve their goals. I have found that students welcome and appreciate this kind of relationship. It’s a necessary component of creating a true online community. 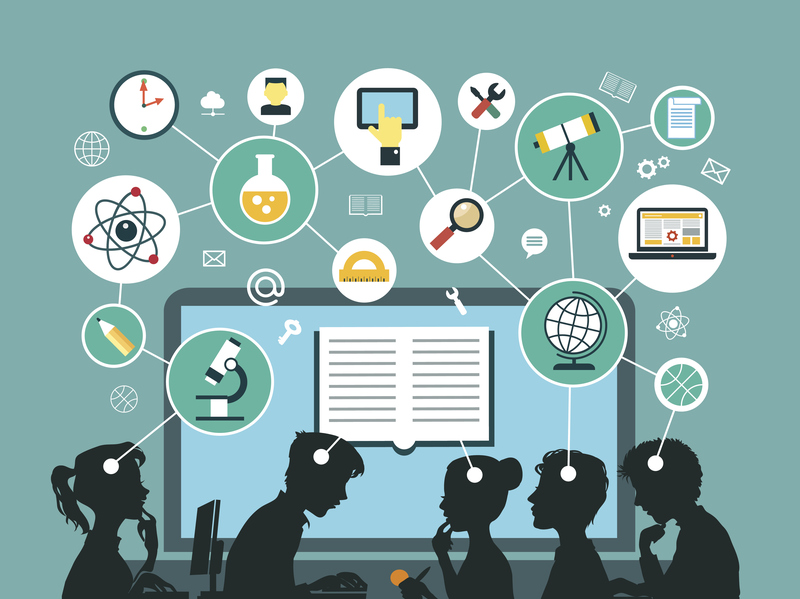 There are numerous tools and strategies for interacting with students, like web-conferencing platforms, course audio and video tools, and collaborative tools that allow for synchronous or asynchronous interaction. There are simply more ways to communicate, to collaborate and to create. And so while student expectations were very little in the '90s, today’s student may or may not expect a certain level of interactivity, course structure and workload based on their prior experience in online courses. This has also become a challenge for instructors who can no longer assume that students will know what to do, how to do it, when and where in their course, given the diversity of course design and instructor knowledge and leverage of course tools. Pacansky-Brock: Many educators still hold steadfast mind-sets about what online education is and who it should serve. We need to pause and look at online learning through the lens of students to understand its value. For example, as we strategize to improve graduation rates, we would see that students who mix online and face-to-face classes progress at higher rates than students who take all classes face-to-face or online. Efforts to improve student access to online courses are key, but we also know that equity gaps get worse when minority students learn online. We must not throw the baby out with the bathwater. Relationships are at the core of meaningful college experiences and they’re particularly important to underserved students who are more likely to doubt their academic abilities. Underserved online students need the presence of an engaged instructor. If you teach online, your human presence matters. This has been my greatest takeaway from 15 years of teaching online and, perhaps, more striking is that this point still seems revolutionary to so many. Semingson: I have learned to be more proactive with reaching out to students -- a virtual mother hen in terms of digital outreach. The online learning environment is friendlier and more nurturing. I round up students who have strayed too far by not participating in the course as much as they should and reach out to them to check in on them. I also provide additional resources for students who need extra help in the class. Current online students expect communication to be responded to quickly. I make efforts to do this by checking email on my phone. They also want a more flexible online learning environment. Students are busy people and often work at least one job. I try to make my courses mobile friendly by providing materials they can “offload,” such as podcasts, recordings and web-based reading that can be accessed via a mobile device.